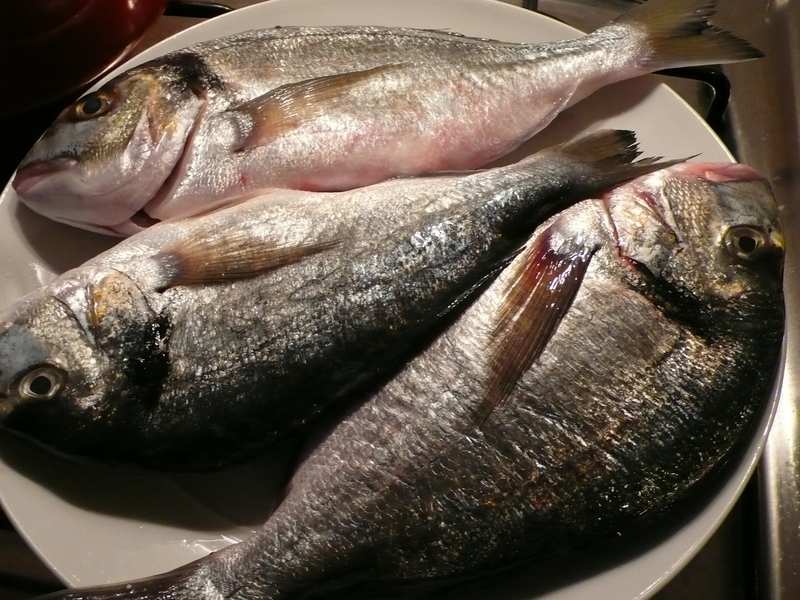 Il Cartoccio has become our go-to method of cooking fish, it is easy to do with very little clean-up. It is also difficult to mess the fish up since it is steaming in its own juices and therefore hard to dry out. There does come a moment in time when the cartoccio needs a little bling though, an added flavor and to earn the right to be special occasion food. 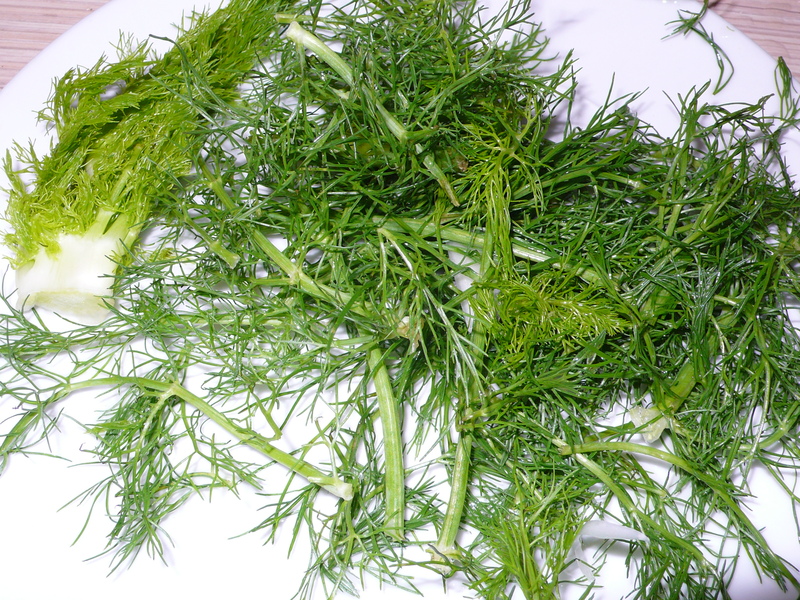 Fennel is now coming back into season and fennel and fish were born to be together. I roasted the fennel for about 15 minutes before putting it in the packets with the fish and used the fronds to stuff the fish, instead of parsley. The aromas were wonderful and the fennel was perfectly tender next to the fish. Fennel tends to take a long time to roast so you want to start with them. 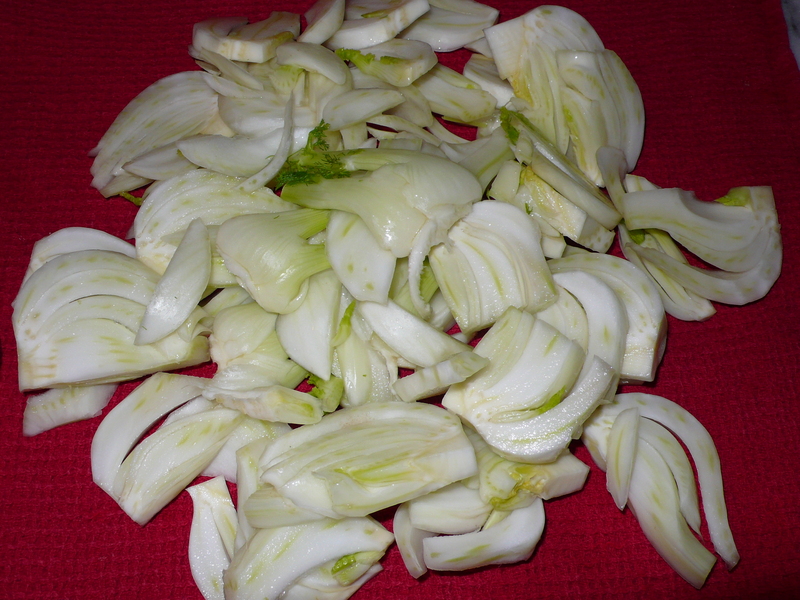 Toss fennel slivers with 3 tbs of olive oil and a pinch of salt. In a large roasting pan (with or without parchment paper) distribute the fennel slivers and place them on the middle rack in the oven. You want them to roast for about 15 minutes. In the meantime, cut out 2 sheets of parchment paper or aluminum foil, place them on a cookie sheet and brush with olive oil. 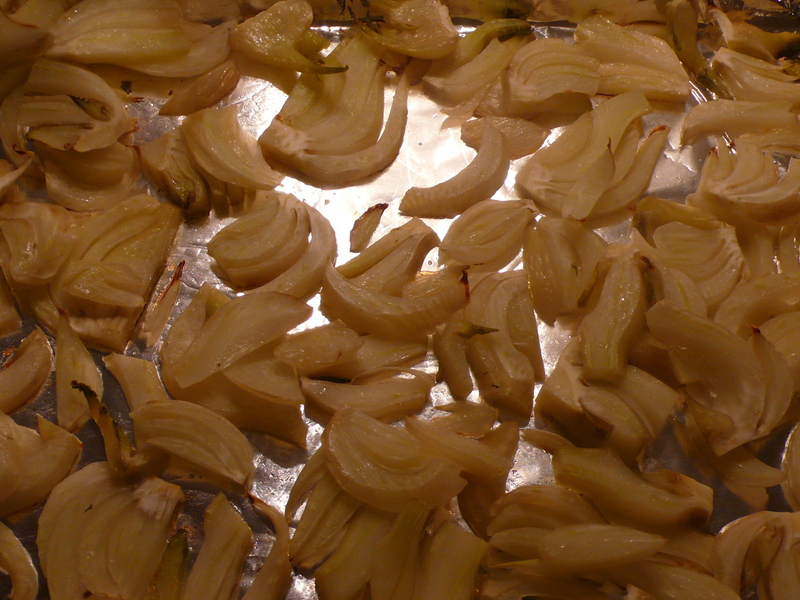 Distribute the roasted fennel evenly between the two packets. Stuff 2 cloves of garlic in the cavity of each fish along with the fennel fronds, add a pinch of salt and drizzle about a tsp of olive oil inside each cavity. 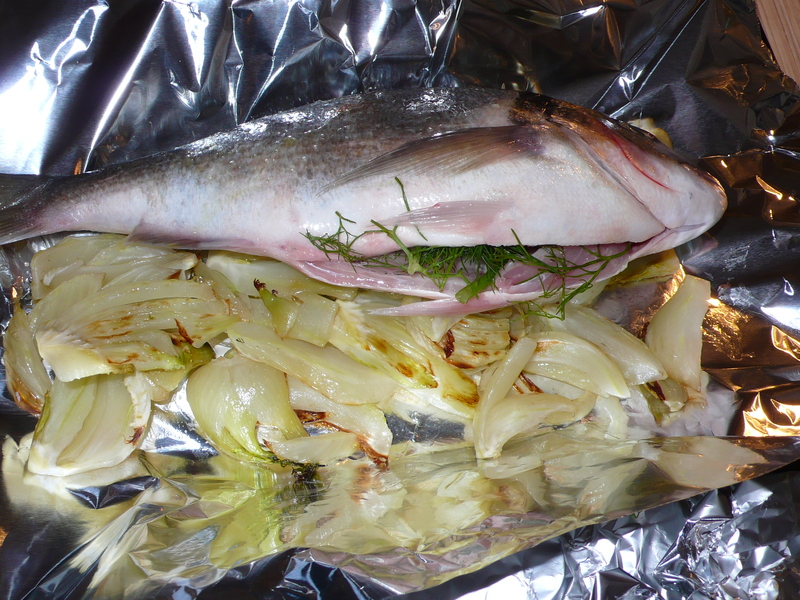 Place the fish on top of the fennel, add a drizzle of olive oil and a sprinkle of salt. Fold over the parchment paper to enclose it completely and seal the edges. 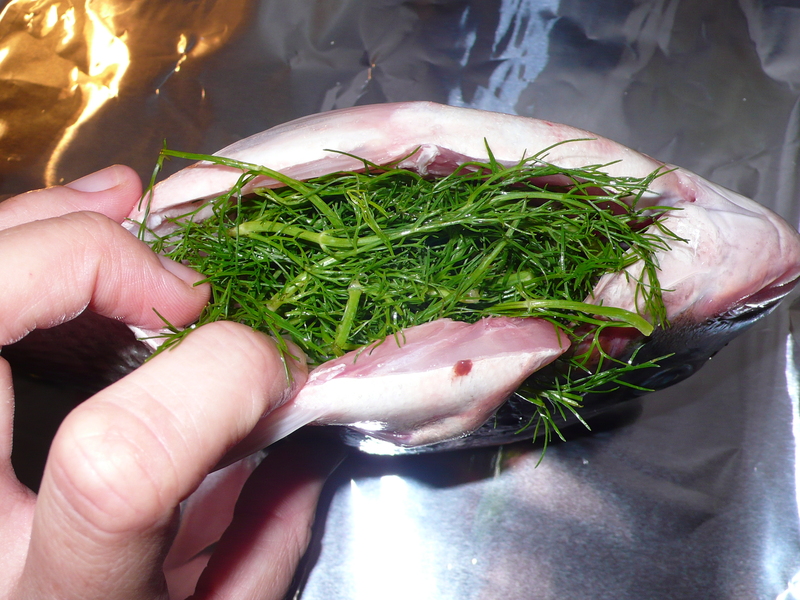 Bake for 30 to 40 minutes or until the fish is cooked through. Clean and serve with the roasted fennel. ~ by italicious on October 21, 2012.